ColorofChange.org has sponsored a petition to Rep. Henry Waxman, chair of the House Oversight and Government Reform Committee. Danielle Vyas has launched a petition addressed to Congress and the President. The original petition to the Armed Services Committees of the House and the Senate has closed. Arrangements are being made for delivery. 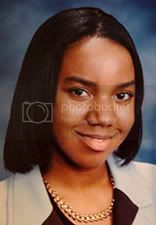 For background information, please read the original post on the LaVena Johnson investigation and view the KMOV-TV news report from 02.21.07. LaVena's parents on Democracy Now! Thanks to the MeFi community! I am the author of the LaVena Johnson petition, which is an independent effort; I am not a spokesperson for the Johnson family. The family does know of the petition effort and is supportive of it. My personal website is located at www.waveflux.net. Many, many thanks to wordylefty who reviewed at StumbleUpon my most recent AlterNet post on LaVena, and thanks also to the many people who have, ah, Stumbled on in. Your support is most appreciated! Today, July 27th, marks what should have been a joyous celebration, perhaps including a party filled with family and friends. Today would have been LaVena Lynn Johnson's 22nd birthday. The month of July also marks another solemn milestone. Two years ago this month the body of PFC Johnson was returned to her family and laid to rest, but there can be no rest for her family and friends. The military continues to claim that LaVena took her own life while serving in Iraq, despite several indications to the contrary. The details of LaVena's death have been shrouded in lies and deception - the kind of official obfuscation that surrounds the death of Cpl. Pat Tillman and other fallen soldiers. 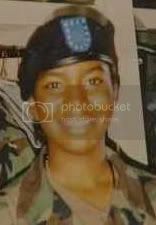 Let’s honor PFC LaVena Johnson with a push for ten thousand signatures on the petition to reopen the investigation into her death.